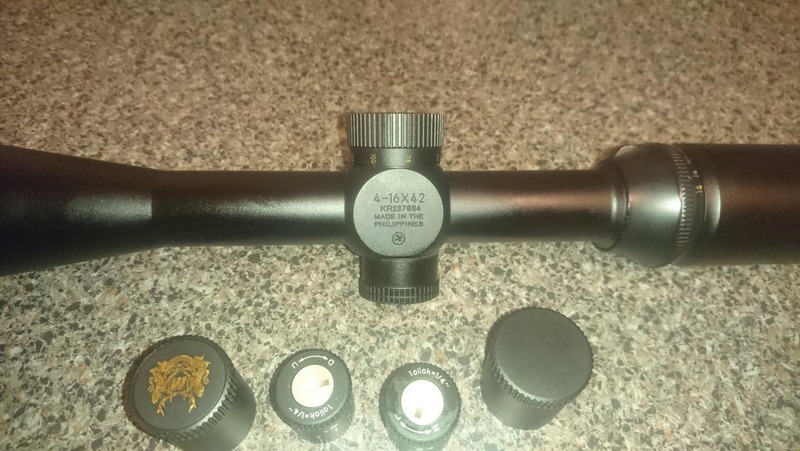 Nikon 4-16x42 side focus with Mildot reticle, 1" tube and MOA turrets. 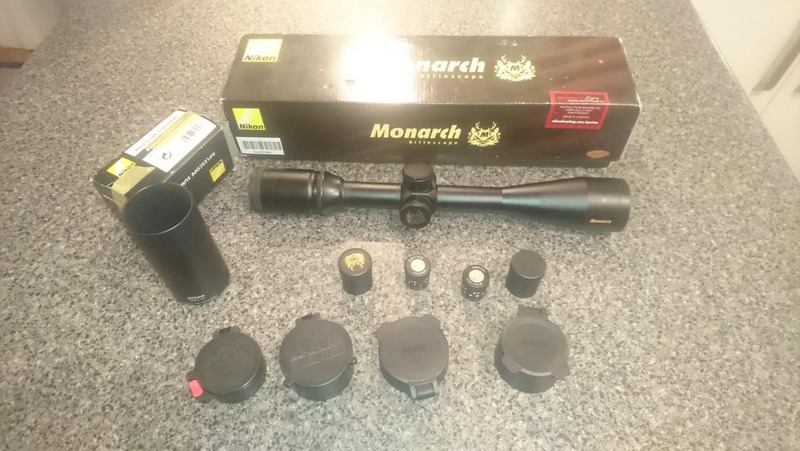 Scope is in excellent condition hardly had any use at all, the finish and lenses are pristine. Have never even used the sunshade. Nice and light weight, has pretty good glass and tracks well. The reticle is SFP Mildot, set at 12x magnification. I worked out that if you line the magnification ring up with the '1' on the 10x setting it is set to 10.8x magnification and makes the Mildots = 4moa. Have used this on the range with great success. Can send more pics if required. How short does the side focus go 50 yards? Yes, 50yards as marked on the turret. 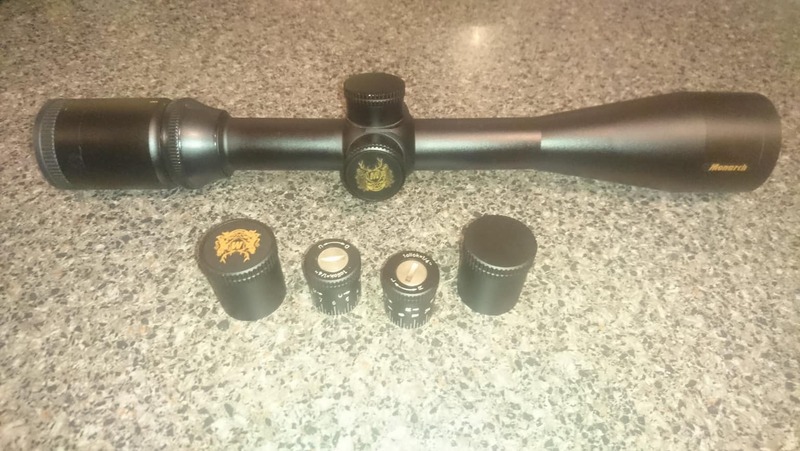 Just bought the same scope but with a 50mm objective. Excellent quality glass.